Austin City Limits Music Festival Survival Guide: Know Before You Go! Austin City Limits is coming up October 5th through 7th and 12th through 14th. 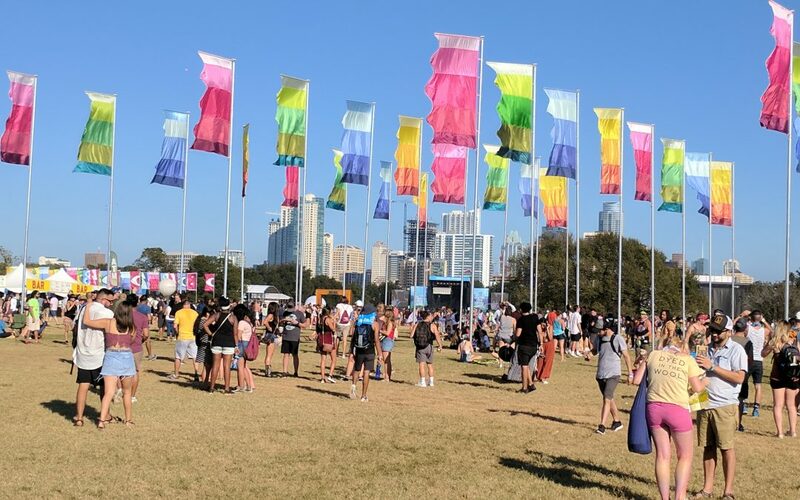 Discover what’s changed for Austin City Limits 2018 and get tips for surviving the fest! Sealed water bottles can no longer be brought into this year’s Austin City Limits Festival. Now all water bottles and hydration packs (aka CamelBaks) have to be empty. They also can’t have more than two pockets in addition to the one that holds the water. Bags this year will be restricted to small purses, totes and drawstring bags. Bag sizes cannot be larger than 14” x 11” x 5” and cannot have more than one pocket or opening. Fanny packs are a great choice that is Austin City Limits fest approved! We're less than a month from the start of #ACLFest. You already know who's performing, now it's time to check out the ACL Eats Lineup! Check the link in our Instagram Stories or aclfest.com/food for details. Not all the changes are bad! Austin City Limits Fest is adding a second food court by the Barton Springs stage. This stage was a new addition last year and one of our favorite places to catch bands. The small size, out-of-the-way location, and great breeze coming off the lake made it fantastic to see Hamilton Leithauser, Black Angels and more. This year we’re looking forward to catching Father John Misty and then grabbing some grub from Burro Grilled Cheese, Tino’s Greek Cafe or Good Pop at the second food court! A small blanket is a must. A emergency poncho means you can keep on rocking if the rain comes knocking! Another must is a hand sanitizer that hooks on your bag. A travel size packet of tissues doubles as toilet paper if the porta-potties are out. Sunscreen is also a must. Sign up for ACL Cashless so you can use your wristband to pay for items. Just be sure to bring your ID; no matter your age, you’re going to get carded. Print out a copy of the schedule highlighted with who you want to see. Also, grab a printed schedule at the entrance. Cell service is notoriously slow and spotty; don’t depend on the website. Another tip: put your phone in airplane mode to conserve battery. Looking to find an apartment near Zilker Park? Our apartment locator services make it painless!